Thirty years of war over Nagorno-Karabakh: what are the challenges for democracy? The conflict between Armenia and Azerbaijan over Nagorno-Karabakh started in 1988, initially as a political demand by the Karabakh authorities for formal inclusion in the Armenian Socialist Soviet Republic. 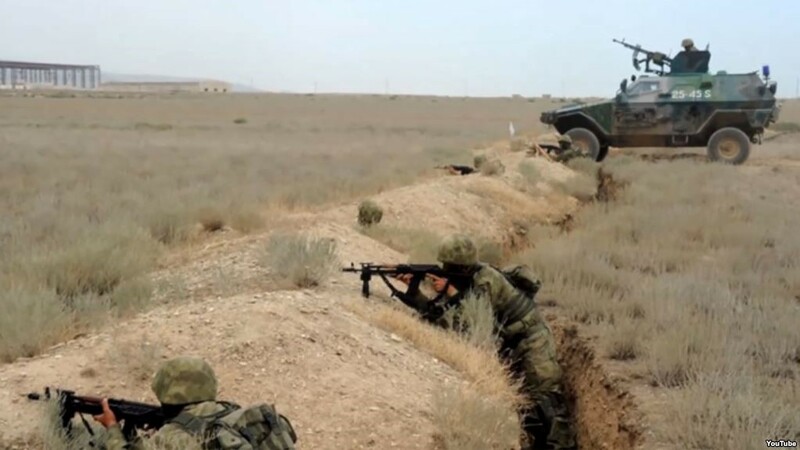 It rapidly escalated into violent confrontation, as Azerbaijani authorities refused this demand and Moscow proved too absent to manage the contestation. The final days of the USSR were particularly violent in this region of the world and thirty years after the conflict escalated into a violent confrontation there has been no peace and there are no perspectives of a way out of the status quo. Besides the obvious human costs of the war, the permanence of this protracted conflict has had an immense negative impact in the post-Soviet transition of Armenia and Azerbaijan, as well as of Nagorno-Karabakh. Democratic institutions have been pressured to produce leaderships that have the management of war as their main priority; democratic choices have fallen victim of militarisation; regional partnerships have been skewed to produce alliances and balances of power. In this scenario, what challenges does democracy face in the region, thirty years into this war? When democracies wage wars, there are several delicate balances that are hard to keep: between accountability and secrecy; between consent and strategic calculations, among others. These challenges become more acute when countries engage in war during transition periods. The necessities of war undermine the democratization process, mobilizing specific understandings of the national project that are linked to the results of the war, emptying the public space of meaningful political and economic discussions, and above all, tying the interests of the state with the results of the war. Many of these trends have been visible in Armenia, Azerbaijan and Nagorno-Karabakh, posing important challenges to the rooting of democratic institutions and practices. As an illustration, the taking over of the Armenian leadership by the Karabakh clan has reinforced Armenia’s immovable position on the peace negotiations with Azerbaijan. It has also justified the permanence of this leadership in power under the fear that without them, Armenia’s interests would be endangered. In Azerbaijan, a dynastic succession has been favoured, as the country’s national identity became linked to the outcome of the war. Accepting an authoritarian form of government has been facilitated by war rhetoric and energy revenues that create an appearance of stability and a promise of future victory in the war with Armenia, reversing the initial defeat in the conflict. Because Nagorno-Karabakh failed to secure a sovereign status, its political transition from the Soviet Union has left the territory in a legal and political limbo, that interlinked the fate of this society with the outcomes of the war. Moreover, because of the protracted nature of the conflict, specific challenges have emerged over the last thirty years. The normalisation of war has meant less incentives for peace, since this would entail significant concessions, altering the status quo into an uncertain situation. Although in a genuine democratic system ordinary citizens would be able to choose a different path out of war, in the current corrupt and authoritarian/semi-authoritarian regimes in Azerbaijan and Armenia, such choices are not possible. In order to conceptualise a view where peace and national identity can coexist, it would be necessary to undo the national constructions that have been made of the post-Soviet identities of Armenia, Azerbaijan and Karabakh. The protracted character of the conflict also raises a generational issue. In Armenia, a younger generation grows up without the experience of war, since this has been a frozen conflict since 1994. In Azerbaijan, the growing militarisation of the society and the pride that this militarisation process conveys to national identity has, on the other hand, contributed to the development of a generation who, not having experienced the realities of war, believes a new outcome of the conflict is only possible through war. This scenario raises many questions regarding the changing dynamics around the Karabakh conflict, including the linkages between war/peace and democracy. If it is true that democracies are better equipped to win wars, one can only hope that democratizing will become an appealing option for regional leaders. But this choice is harder, when wars were started under non-democratic regimes which underwent transitions in the context of the war. The political systems that emerged from this in the three territories are a mix of formal democracy and authoritarian practices, profoundly riddled by corruption and hiding the negative economic impacts of those practices behind the limited possibilities offered by regional relations and the investment needs in military equipment to assure victory. This is a dangerous fantasy to entertain, as the ongoing protests in Armenia showcase. For Nagorno-Karabakh, the lack of international recognition has also limited the appeal of democracy, especially after the so-called Kosovo precedent, of recognition based on standards of democracy, failed to apply in the post-Soviet frozen conflicts. In this scenario, democracy and peace need to be back on the agenda of international donors and partners, as the only way out of the current dangerous status quo. Licinia Simão is an Assistant Professor at the University of Coimbra in Portugal and an EDSN Fellow. Her new book, The EU’s Neighbourhood Policy towards the South Caucasus, was recently published by Palgrave Macmillan. Previous Previous post: Helsinki 2.0 – An Old-School Solution to an Old-School Problem?